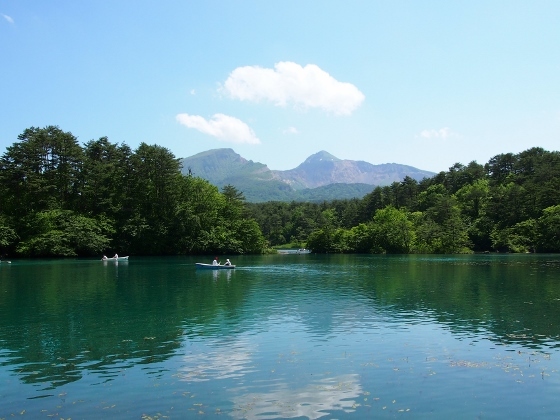 Today, since it became a clear day after several rainy days, I visited Goshikinuma Ponds at Urabandai, Kitashiobara Village. 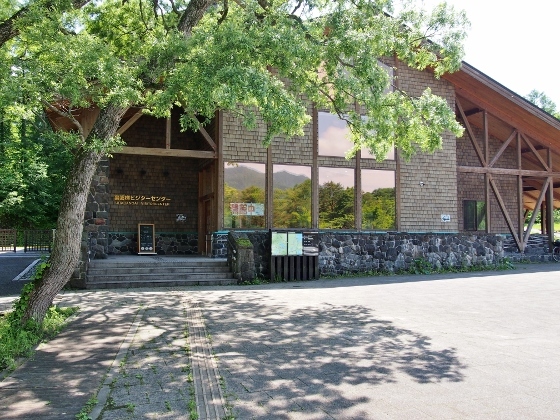 I arrived at Urabandai Visitor Center (the location was red asterisk 1 in the map) by bike and then walked around the visitor center and Bishamonnuma Pond. First, I met with a forest green tree frog. I was very lucky since one of my purposes of this trip was to see the frogs. They usually live deep inside woods but they come out to ponds or swamps during rainy season for spawning. 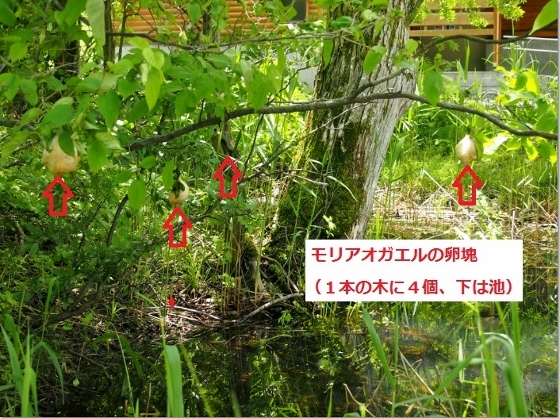 Above photos show clouds of eggs of forest green tree frogs. The location was in front of the visitor center. 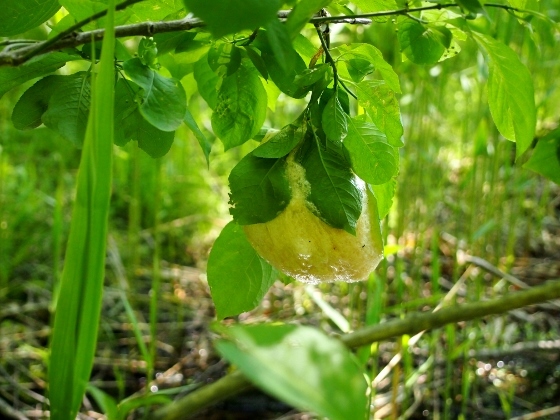 I found up to four clouds of eggs on one tree. 2nd photo shows close up view of one cluster of eggs. 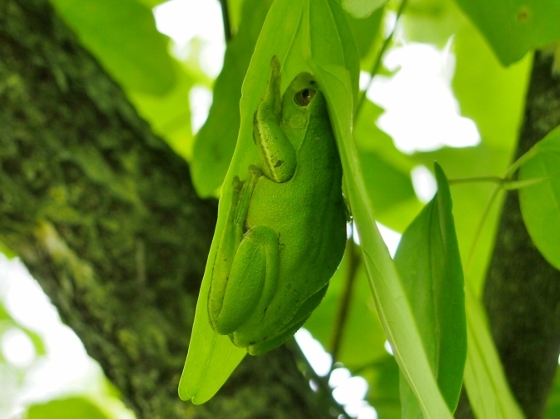 Forest green tree frogs move around at night and they sleep on trees in a day time. Although it was somewhat difficult to find due to their protective color I finally found one as shown above. The frog was sleeping behind a leaf with the same color. Some flowers and an insect I found are shown below. 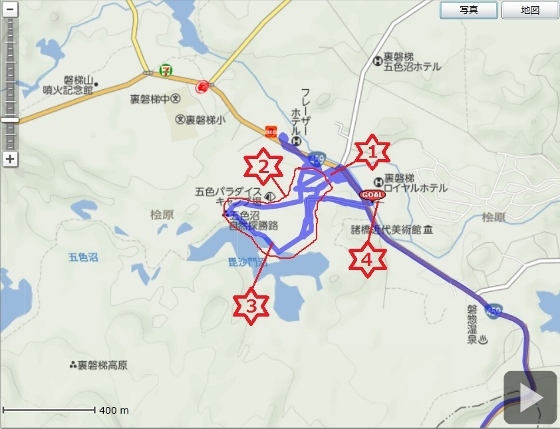 The location was the area shown as red asterisk 2 in the map. 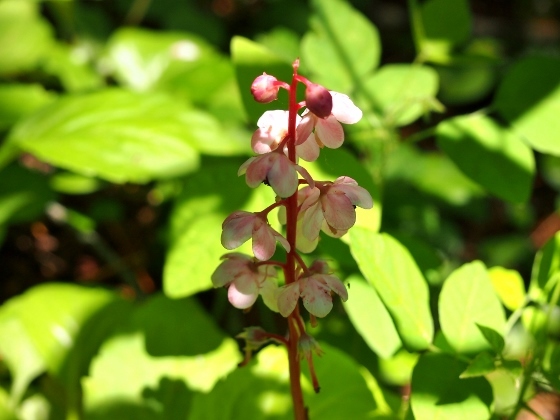 Above photo shows Pyrola incarnata. They were in the last stage of bloom. 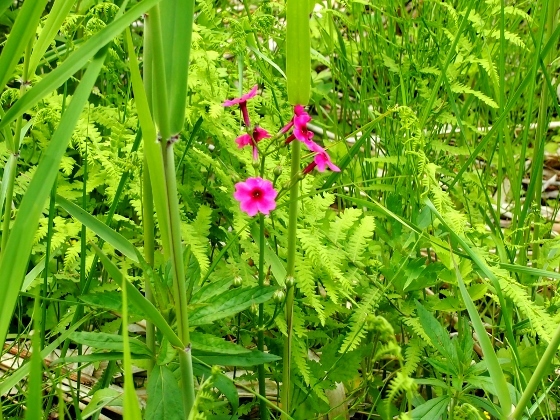 Above photo shows Japanese primrose with reddish pink flowers called Kurinsou. They were also in the last stage of bloom. 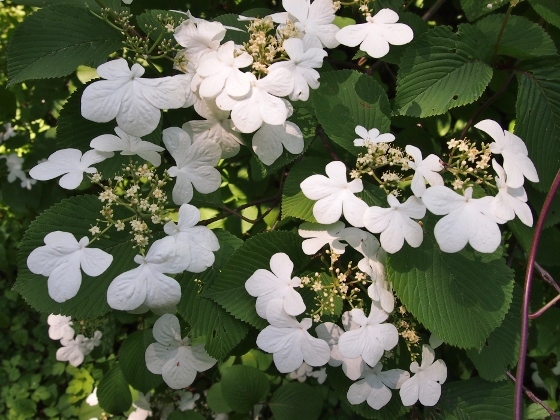 Above photo shows white flowers look like butterflies. 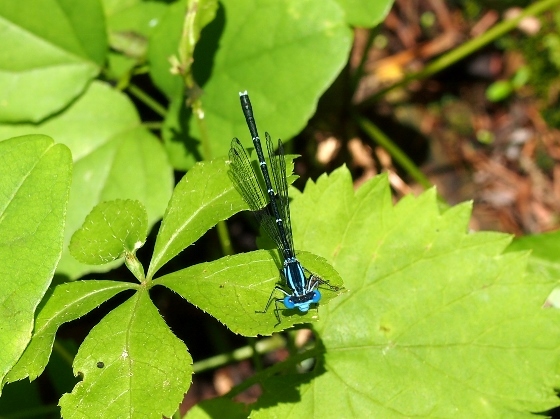 Above photo shows a beautiful blue damselfly. Above photo shows today's view of Bishomonnuma Pond with Mt. Bandai in the background. It was Sunday today and many visitors were around here, some of them on boats. The location was red asterisk 3 in the map. 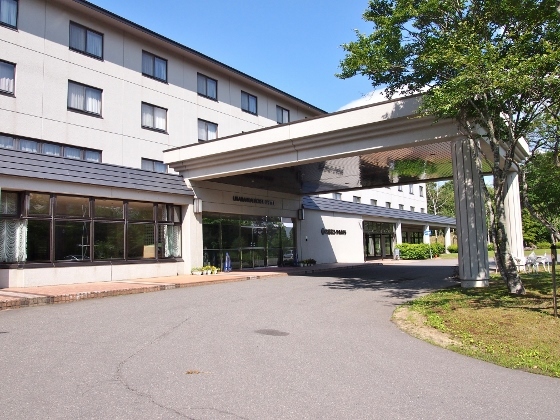 Today I stayed at Urabandai Royal Hotel as shown above. They offered special plan for seniors with very reasonable charge. The location was red asterisk 4 in the map.